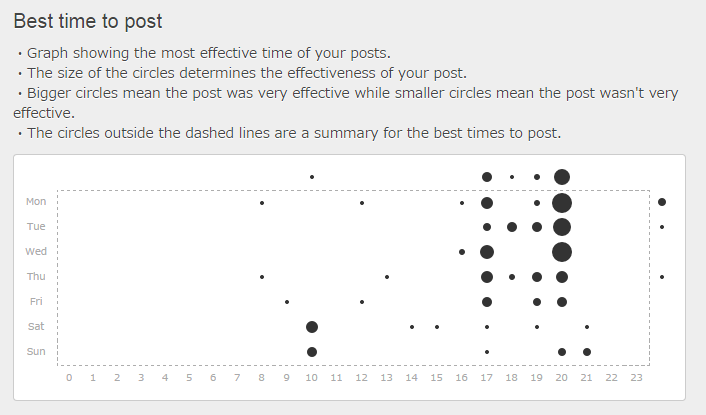 Websta offers literally every type of statistic that Iconosquare offers, and they’re free. 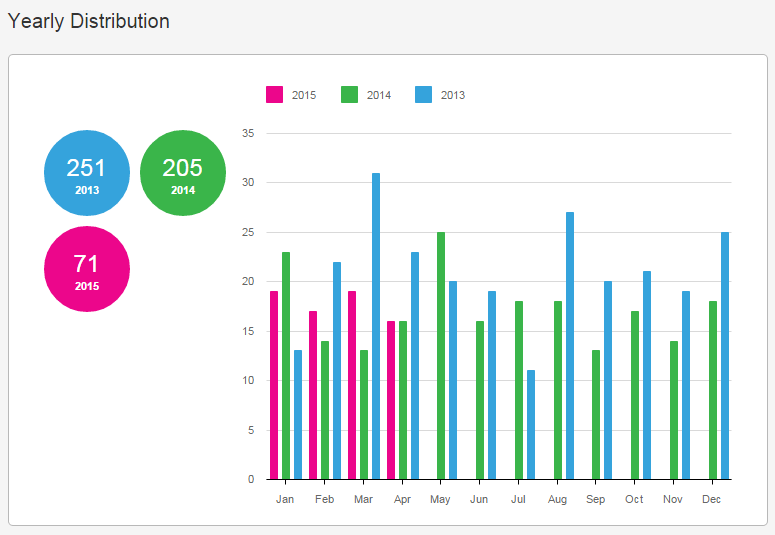 Ink361 is another free site that offers a range of stats. They’re colorful and very pretty, much like Iconosquare’s. The only catch is that they don’t have post optimization, which is why I’m not fully onboard. But I like the look of what they do have, and it’s also pretty cool that you can order prints of your Instagram photos. I found out about squarelovin the morning after I wrote this post, and had to add it. It’s got a clean, beautiful interface. And not only does it have a wide range of stats–including the all-important post optimization–they’re arranged beautifully in fun colors. On top of that, they tell you when not to post! But make sure you’re aware: any picture can be downloaded from the viewer mode. That means you can download your pictures or other people’s, and they could download yours, too. Don’t be fooled, though: this doesn’t mean your pictures are safer with another Instagram viewer. Just because Iconosquare or Websta doesn’t have a download link doesn’t mean people can’t save the picture or take a screenshot of it. Another thing to note: they’re located in Germany. And even though you enter your location, the time zone in your Optimization analytics still reflects local time in Germany. Once I realized this, it made way more sense why my optimization would tell me to post at 5 am (that is 8 pm local time, which is when other sites have told me is the best time for me to post). All three platforms allow you to like and comment on pictures in your feed from the program. Also, analytics will not automatically update; you have to check the site every day in order to force them to update your statistics. If you pay for Iconosquare, your analytics will update daily whether you check them or not. Update 5/1/15: Iconosquare’s back and so is my Iconosquare account. Ultimately, I’m not sure which service to stay with. Free Iconosquare is back, and that’s great. But their statistic updates are slow (mine was last updated April 25), so it seems like they only update when you log in, even if you’re supposed to get email alerts. And squarelovin is completely overloaded because of the flood of people switching from Iconosquare, so all their servers are overloaded. This means my stats haven’t ever been accurate in the three days that I’ve used the service. The only statistics that seem accurate are Websta’s. They’ve been around long enough to have enough server capacity and regular updates, which is great. But I sure hate their ad-filled interface. So we’re really getting what we pay for. Which brings us back to paying for a service that provides reliable updates. Iconosquare’s mistake was not to start charging for its services. It was to start charging without soliciting the input of its users and fans. Plenty of people tweeted that they’d be happy to pay, but the base price of $199/month was too much. Update 11/24/15: Iconosquare is going to require a subscription for analytics starting 12/1/15. They will no longer be available to free users. Looks like they’re serious about it this time. Here’s their notice. How much would you be willing to pay for a reliable Instagram analytics service, as a regular user? In response to Iconosquare’s pricing, Stats Cannon has gone completely free for everyone. And it’s ad free too! It packs a near complete copy of Iconosquare’s statistics package, along with many other useful tools. Happy to hear it, Alessandro! Saved my day, love you. There’s also Stats Cannon, a new statistics platform for Instagram. Only $2.99 per month! Glad I could help, Daina! I was bummed about Iconosquare, too. Thanks for posting this. I was pretty bummed about iconosquare’s huge shift. Like you, I love my stats, but I’m a casual instagram user. going to check out squarelovin now. Thanks, Lindsay! Looks interesting–I admit, when seeing the tagline “Business dashboards done right,” I was a little skeptical that this would be for the regular IG user. But it looks like there’s a tiered system, where the more you add, the more you pay, so this could work. Dasheroo is another good alternative! You’re welcome, Caroline! I hope it helps you find a great Iconosquare replacement.